As thousands head north in search of gold, Marshall Bond and Stanley Pearce join them, booking passage on a steamship bound for the Klondike goldfields. The journey is life threatening, but the two friends make it to Dawson City, in Canada, build a cabin, and meet Jack London—all the while searching for the ultimate reward: gold! A riveting, true, action-packed adventure, with their telegrams, diaries, and letters, as well as newspaper articles and photographs. An author's note, timeline, bibliography, and further resources encourage readers to dig deeper into the Gold Rush era. 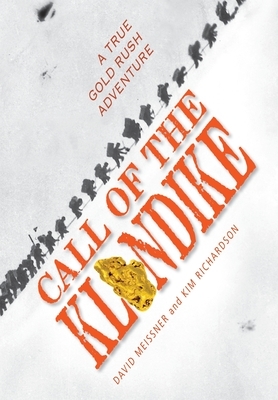 Call of the Klondike has been awarded the 2014 Golden Kite Award for Nonfiction. David Meissner has travelled to more than thirty countries and is obviously no stranger to adventure. While researching this book, he hiked the Chilkoot Trail from Alaska into Canada. David is a teacher who has written more than twenty children's books. Kim Richardson is the great-great nephew of Stanley Pearce, whose Klondike adventures inspired this book. He has travelled to five continents and otherregions of the earth. Kim is a haiku poet and works in children's publishing. He lives with his family just outside London, England.